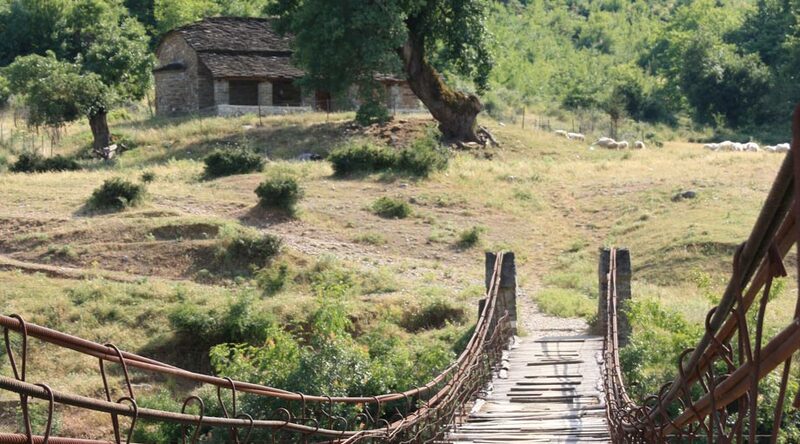 The earliest archaeological traces recorded in the area, consisting mainly of flint tools and pottery fragments, seems to belong to the Neolithic (7000-3000 BC) and Eneolithic (3000-2100 BC) periods, and are recorded in the cave settlements, near by the village of Bënjë, at the rocky canyons of Lengarica, an affluent of Vjosa River, which is located app. 2km to it’s southeast direction. The Bronze Age (2100-1100 BC) is presented by the fortification of Dedejan, at the foot of Nemёrçka Mountain range, while other find spots from the same period are discovered during agriculture works in the fields of Piskova village. A series of tumuli cemeteries were discovered during the 80’s of the last century, located in the first terraces of both banks of the River Vjosa, from which only three of them were excavated, containing archaeological material dated from the Bronze Age to the Medieval period. The Classical and Hellenistic period (7th - 1st cent BC) is associated with the first construction phase of the fortress of Këlcyra, located at the top of the rocky massive on the right side of River Flow at the Gorge of Këlcyra, the fortification of Kuqar, the pottery assemblages and decorative objects revealed in a number of individual graves in Përmet and Këlcyra, along with a series of find spots spread out in the Valley. 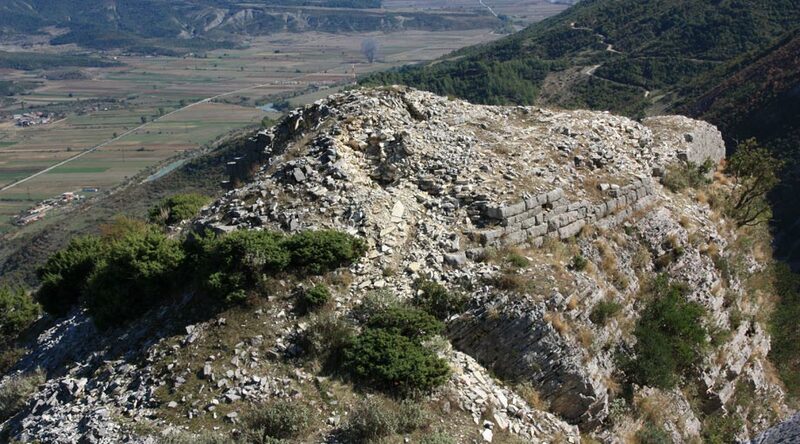 The archaeology of Late Antiquity, is associated with the second construction phase of Këlcyra fortress, the possible hilltop sites of Petran and the remains of the wall circuit of the “Guri i Qytetit” (City Rock) in Përmet. The Early Medieval period in the Upper Vjosa Valley for long has been known and interpreted based only on the archaeological repertoire revealed from the excavation of the tumuli cemeteries, but the results of an archaeological survey undertaken in 2011 discovered archaeological material assemblages and monumental remains, which indicate for the possible presence of a series of sites located on both sides of the river, in the plateaus between the late medieval villages and the tumuli, containing occupation phases which spans chronologically from the 4th BC – 12th AD. The later period is associated with the presence of a number of churches, such as the two Byzantine churches of Shën Ilia (St. Eliah) in Buhal dating to the 12th cent and the 13thcent and cross-in-shape church of the monastery of Shën Mëria (St. Mary), in the village of Kosinё, along with the Post Byzantine churches of St. Mary in Leuse (18th cent. ), St. Mary in Çarshovë (17th cent. ), St. Sotiri in Tremisht (17th cent. ), and Shën Koll (St. Nicola) at Lipë (18th cent. ).